Water/ethanol blends also cause significant problems for fuel stability and fluidity because the gas and water combine to create a pastier liquid. That makes your equipment difficult and unsafe to start, eventually leading to a damaged engine or a failing fuel system. In small engines, E15 gas is not only damaging and dangerous; it’s also illegal. Using a fuel stabilizer is one of the easiest ways to maintain gas-powered engines and unused fuel throughout the seasons – especially with ethanol-blended fuel. Unprotected fuel will deteriorate and thicken, releasing gums and varnishes that can latch onto metal surfaces and ultimately clog valves and narrow passages in your carburetor jets. That can result in your engine sputtering, or not turning over. If you do let gasoline sit in the fuel tank for longer than 30 days, be sure to store it with a fuel stabilizer and a fresh tank of gasoline. Some premium stabilizer brands can extend the life of your fuel for up to three years. You never want to use fuel stabilizer past its expiration date, because it loses potency. If using E10 fuel, choose a stabilizer that cleanses the fuel system, eliminates water and reduces corrosion from ethanol-blended gasoline. Be sure to turn the fuel valve off after each use, and consider replenishing your fuel to eliminate air in the tank. 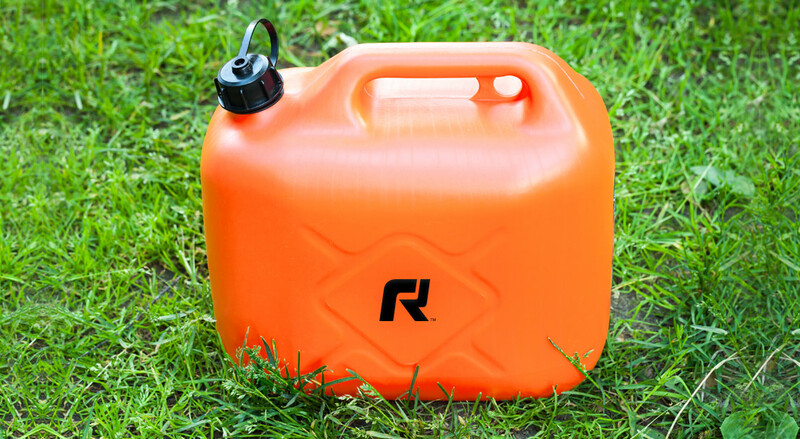 Also keep an eye on your carburetor fuel in larger gas-powered motors, like those in your tiller and mower. Since it’s stored in such small amounts, carburetor fuel is more susceptible to staleness and overheating from proximity to the engine. When bringing larger equipment out of storage, consider letting it run with the fuel valve off until the engine runs out of gas. This will prevent fuel from flowing from the tank to the carburetor, which can exhaust any remaining gas in the carburetor bowl. Refer to your owner’s manual for more detailed information about fuel replacement and storage recommendations. Remember to always contact a professional for complex maintenance concerns or to diagnose a failing engine. If you’re considering gasoline-free outdoor power equipment, check out a range of options in Push Lawn Mowers or Electric Chainsaws.